This is a rather compact summary of 4000 years on gears and geared devices. The purpose is to try and put some historical facts into context and perspective. It is by no means a complete list or a thorough study. This can be perhaps compared only to the discovery of fire, agriculture or stone tools. 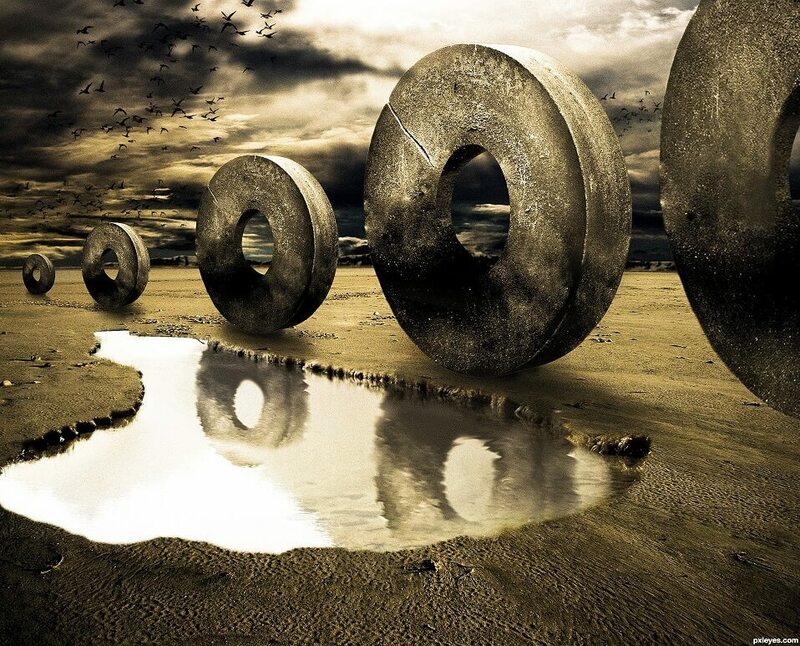 The wheel was a stroke of genius, probably invented as we enter the bronze-age, followed by the iron-age, some thousands of years before Christ. To think about this, we first have to forget about the internet, our iPhone and the rapid development of technology. Today we still use wheels everywhere, unlike some new technology which becomes a museum item a few years later. 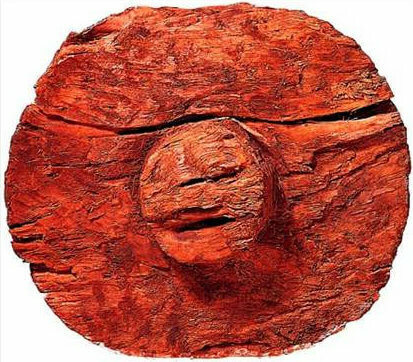 It is not a primitive invention, but rather a breakthrough in the history of mankind. The wheel is the gear's grandfather. This goes now towards the direction of using large (wooden) gears. 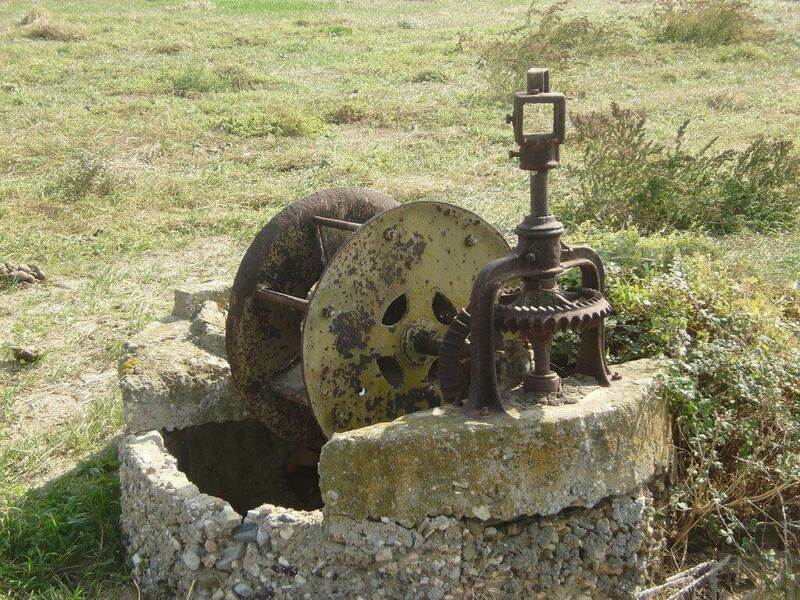 Water can be raised mechanically by using a drum wheel or a set of gears. This is still far away from the Antikythera Mechanism, since in a water well, gears are purely transmitting power. As we know, the Antikythera Mechanism's gears are elegant and designed to make calculations. A clockwork astronomical calculator of ingenious design and unprecedented accuracy, built over two millennia ago. The first computer. Hard to believe, but true. It makes use of at least 40 cooperating gears in order to make astronomical calculations. It also informs about important agricultural & religious events, as well as the Olympic games. It came with a user manual too! The design makes use of the lunar epicyclic theory, approximates its elliptical motion out of eccentric gears, uses epicyclic gears and coaxial shafts with differential gearing. It is impressively compact, having gears with teeth down to a millimeter. This mechanical calculator was invented by Gottfried Wilhelm Leibniz around 1670. It was the first calculator that could perform all four arithmetic operations: addition, subtraction, multiplication and division. It is based on a "Leibniz wheel" or stepped drum: a cylinder with a set of teeth of incremental lengths, coupled to a counting wheel which was free to move up and down its length. Hence, the counting wheel can mesh with any number of teeth. The idea was used for the next three centuries. 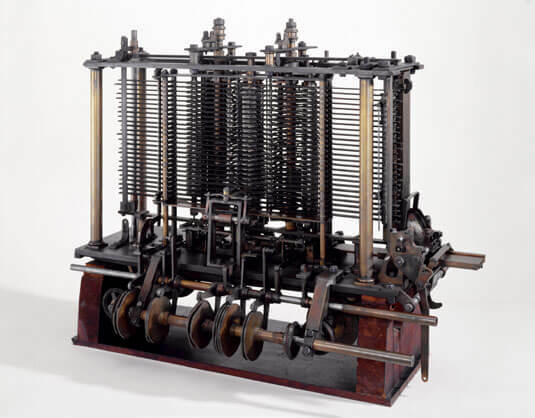 Although never actually built to the end, Charles Babbage first proposed in 1837 a mechanical device which includes all of the elements of a modern computer: an arithmetic logic unit, control flow in the form of conditional branching and loops, and integrated memory. It is the first design of a general-purpose computer with a logical structure, essentially the same as that which has dominated computer design in the electronic era. 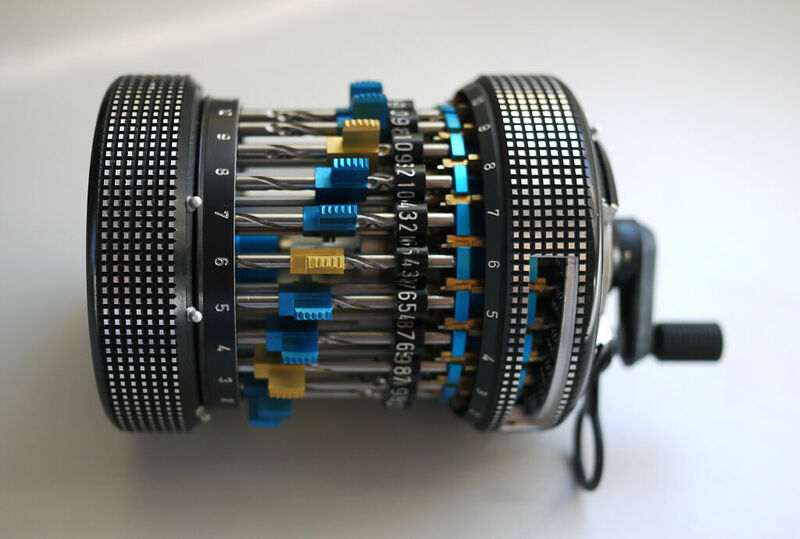 A small mechanical calculator developed by Curt Herzstark. Its design builds upon the ideas of Gottfried Leibniz's Stepped Reckoner and Charles Thomas' Arithmometer. It accumulates values on cogs, which are operated by a stepped drum mechanism. It has an extremely clever and compact design. It was the best portable calculator available, before being displaced by electronic calculators in the 1970s. The Antikythera Mechanism will always fascinate and inspire mankind. 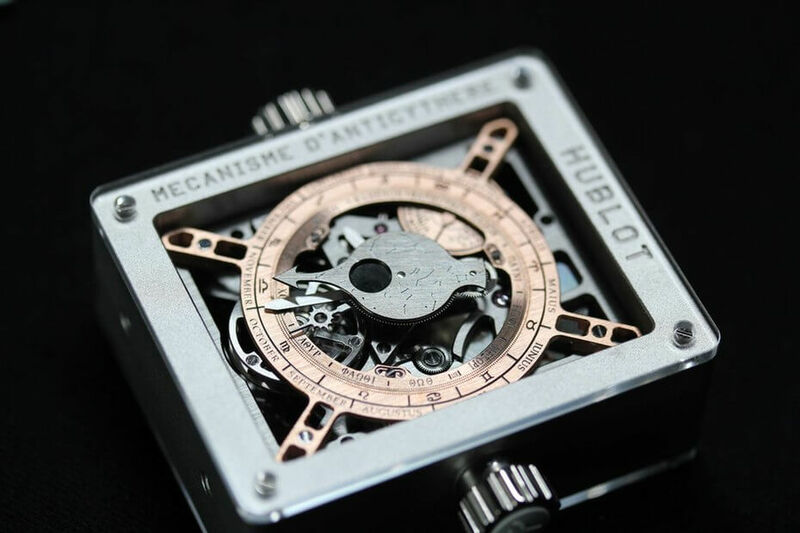 In 2013, Hublot created this timepiece, with a solar and lunar calendar, as well as a representation of the sidereal position of the sun and the moon. Tolerances down to a micron were necessary in this demanding project. As a first example, we saw the water well, with meter-sized gears. A couple of thousand years later, the Antikythera Mechanism appears, with elaborate millimeter-sized gears. Compared to this, only recently have we been able to go to the next level-down in size, with modern wrist watches being an example. In fact, astronomical devices from the middle ages had the size of a sofa! 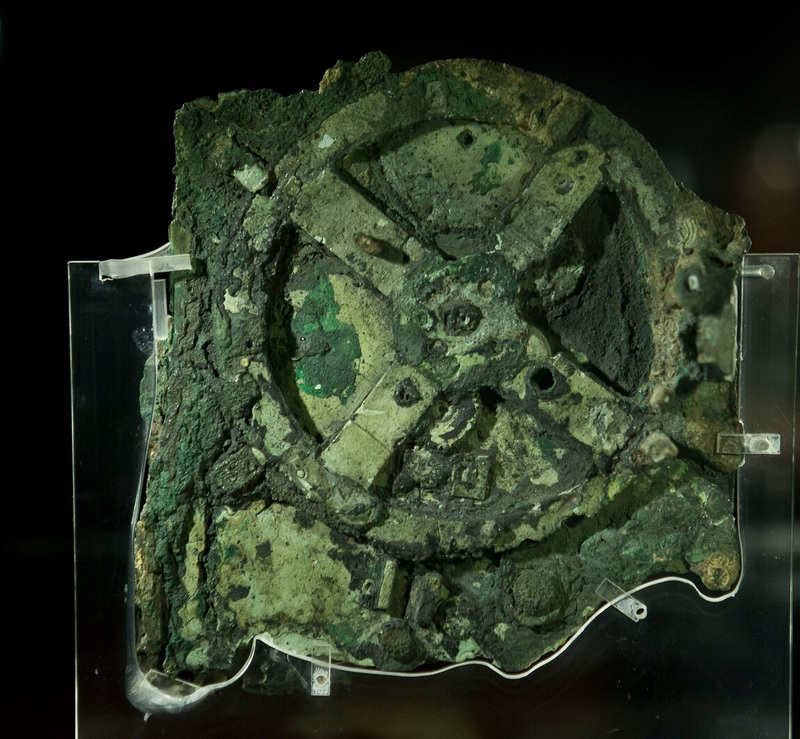 It is not an overstatement to say that the Antikythera Mechanism was out of place and time. We are forced to rethink our previous understanding of ancient technology. Gears in nature: who said it is just a man-made invention?